1) Inside Scoop brings an update on Salsipuedes (4201 Market St.), the forthcoming North Oakland restaurant owned by Jay Porter and Katie Mayfield of the Fruitvale district burger/sausage/kimchi joint The Half Orange. Most significantly, they’ve named the chef: Marcus Krauss, who most recently cooked at the Michelin-three-starred Restaurant at Meadowood. Krauss will serve mostly small plates, which can roughly be described as California Rustic — a cuisine marked by Mexican/“New Baja” influences (Porter is, after all, a San Diego transplant), Pacific Rim influences, seasonal produce, and the combining of meat and seafood flavors in a single dish, Porter explained in an email. You can get a sense of the approach by looking at the menu from a preview pop-up that Porter hosted late last year. 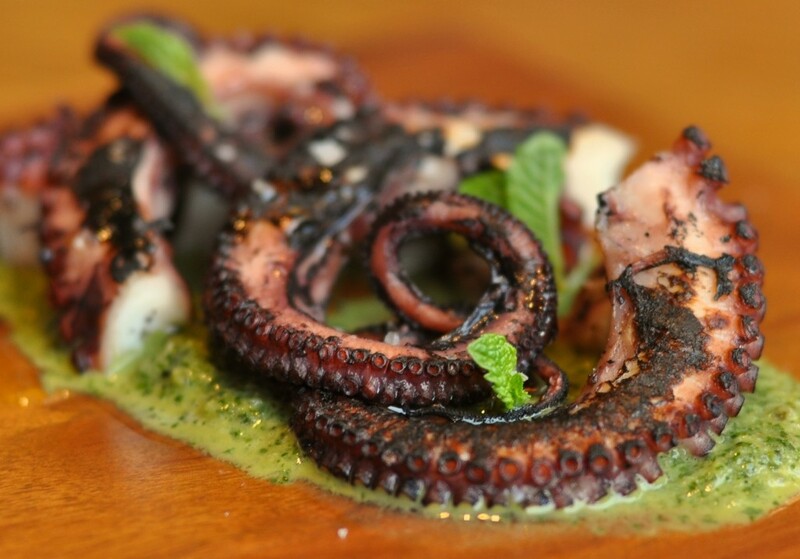 Likely dishes include charred octopus with pork cracklins, slow-cooked lamb with uni, and raw oysters with chorizo. Prices should be roughly in the $7–$15 range for most dishes, Porter said. Look for Salsipuedes to open sometime around mid-June. 3) In other bar news, Berkeleyside Nosh reports that the owner of the now-shuttered Berkeley pool hall Thalassa has opened a German-style pub called Tap Haus at 2516 Durant Avenue. The bar is serving about twenty beers on tap, sausages, soft pretzels, and some French and Polish dishes as well. 4) Also open: Overland (101 Broadway), which aspires to be the Bay Area’s new country music hub, is now open in Oakland’s Jack London district, Inside Scoop reports. Just the bar component is open for now, with food (stuffed burgers, pulled pork, and St. Louis-style pizza) coming soon — not to mention the country line dancing. 5) It’s been more than a month, but I just got the news that Alameda’s Cafe Q (2302 Encinal Ave.) — purveyor of some very fine sandwiches and comfort food dishes — is closed. No word yet on whether chef Jesse Branstetter has turned up elsewhere. 6) Elsewhere in Alameda: In-N-Out has arrived. Do with that knowledge what you will. Wash down with bubble tea (via Facebook). 7) In Lower Temescal, the short-lived One International Cafe, a multicultural breakfast spot, has been replaced by a boba tea and Taiwanese fried chicken joint called Chick and Tea (3932 Telegraph Ave.). 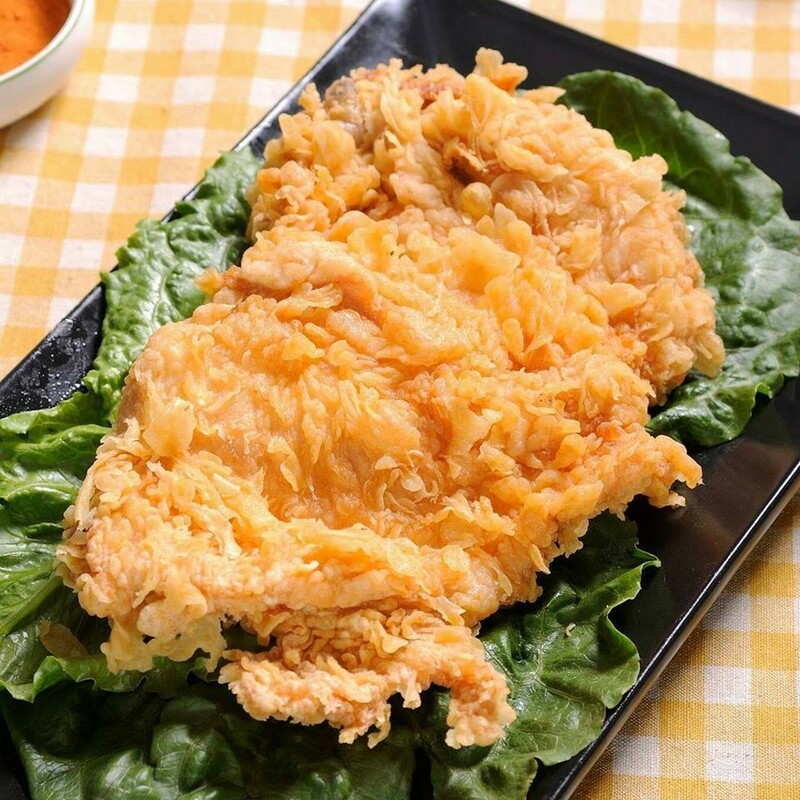 It appears that big, batter-fried breast fillets — a popular Taiwanese night market food — are the specialty of the house, rather than the somewhat more commonplace “popcorn chicken” style. That photo looks pretty good! 8) Oaktown Spice Shop, my go-to Oakland spot for dry spices both obscure and commonplace, has moved down the street to a larger space at 546 Grand Avenue. 9) Oakland-based Red Bay Coffee has launched a Kickstarter campaign to fund a new coffee bar — and, more significantly, a test platform for a new profit-sharing coffee business model that promises to provide workers with livable wages. Berkeleyside Nosh posted a nice profile of owner Keba Konte. 10) Spoonrocket, the Berkeley-based, and rapidly expanding, meal delivery service, is piloting breakfast service in Oakland, Berkeley, and Emeryville, from 8–10 a.m. on weekday mornings. Menu items include a breakfast burrito, an English muffin breakfast sandwich, a smoothie, and Starbucks iced coffee. 11) Finally, ICYMI, the proprietors of the Sassafras Seagrass food truck are taking over the Art’s Crab Shack space in North Oakland.